NonBlocking.io - Malte Ubl's Asynchronous Identity Disorder: Thanks The Onion! This morning my son learned how to open doors. 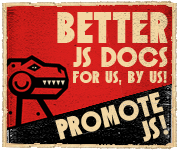 My personal JSConf US 2014. Missed this one today. Yaihhh!